SAN FRANCISCO -- Top automotive suppliers Delphi Automotive and Canada's Magna International Inc. have joined a C$78.8 million (US$65 million) funding round for Innoviz Technologies, the maker of laser-based sensor technology for autonomous vehicles, the Israeli company said on Thursday. The Series B funding round comes as Innoviz prepares for the 2019 debut of its automotive grade solid-state lidar device, InnovizOne, for full and partial self-driving systems. Suppliers Delphi and Magna will offer Innoviz's technology to the automakers it works with, said Oren Rosenzweig, the co-founder and chief business officer of Innoviz. The company also plans to mass produce its lidar platform for testing and development available in the first quarter of 2018. Auto industry experts believe lidar is one of the crucial tools for the performance of full autonomous vehicles, and it has become a prime focus of investment. Lidar relies on light pulses reflected off objects to gauge their position on and near the road. The investment by rivals Magna and Delphi underscores auto suppliers' desire to identify self-driving solutions for global automakers. Such tier-one suppliers serve as systems integrators, responsible for vetting devices and technologies that they then integrate into the automobile. The cost, complexity and accelerated pace of development of self-driving vehicles continue to spark sweeping alliances between automobile manufacturers and suppliers, and suppliers and makers of specific technology, such as lidar. More than a dozen companies, from early entrant Velodyne to companies like Quanergy Systems and startups Luminar and LeddarTech, are vying to lower the price of lidar and improve its performance to meet real-world needs beyond its current use in development of self-driving cars. "When we started out we thought the biggest issue was price," said Rosenzweig. "We're working on getting the price down significantly compared to what you have today but we have to make the performance much higher." He estimated that lidar will drop significantly in price, as radar has, as the market develops. Rosenzweig estimated that the first Innoviz Lidar will be priced "in the hundreds." InnovizOne Lidar can see objects with reflectivity of 50 per cent at 199 metres, ahead of rivals whose devices see objects with 80 per cent reflectivity, he said. "This is why it's hard to compare lidars, because you need to understand the assumptions people have when they give the numbers," said Rosenzweig. "There are no standards. That's the challenge." 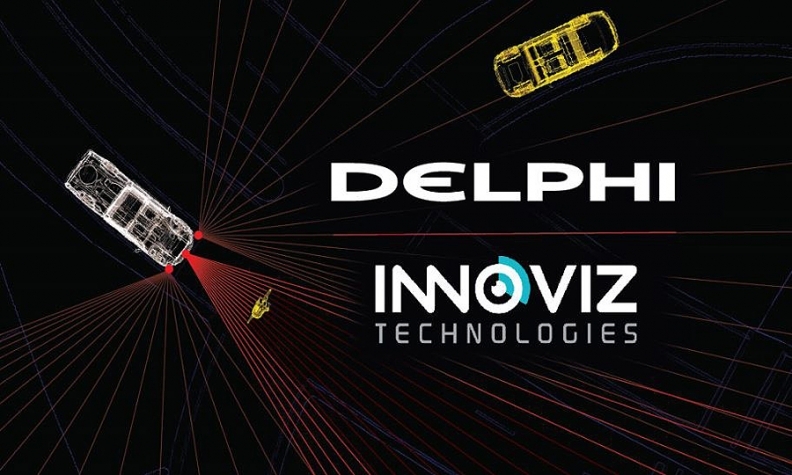 Delphi announced last month it had acquired a minority stake in Innoviz.